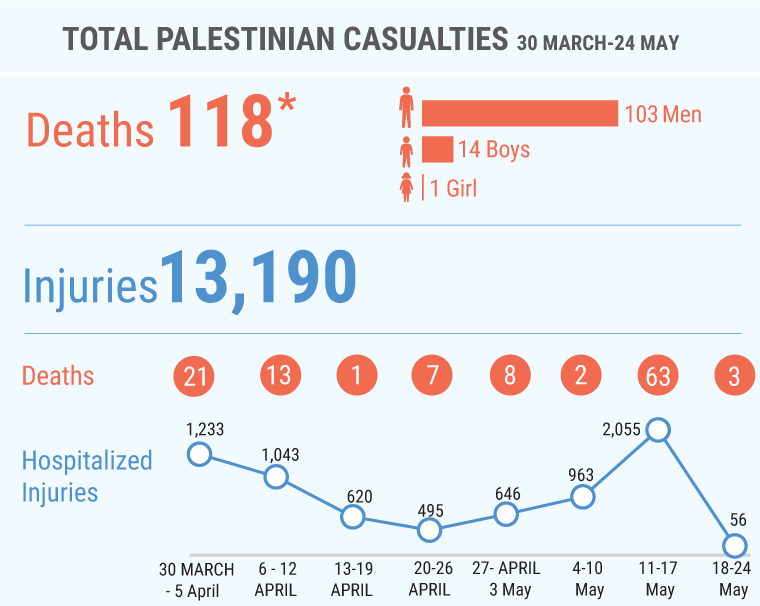 Since 30 March 2018, the Gaza Strip has witnessed an enormous increase in Palestinian casualties in the context of mass demonstrations taking place along Israel’s perimeter fence with Gaza. The demonstrations have occurred as part of the ‘Great March of Return’, a series of mass protests, expected to continue up to 5 June. The large number of casualties among unarmed Palestinian demonstrators, including a high percentage of demonstrators hit by live ammunition, has raised concerns about excessive use of force by Israeli troops. Gaza's health sector is struggling to cope with the mass influx of casualties, due to years of blockade, internal divide and a chronic energy crisis, which have left essential services in Gaza barely able to function. Access to critical medical cases to treatment outside Gaza. Just released a special report on the #humanitarian situation in the #H2 area of the #Hebron city,... 1 hour 54 min ago. This group of children is participating in a psychological support session funded by the... 6 hours 1 min ago. Punitive demolition reported in Az Zawiya (Salfit). The structure was home to the family of a... 8 hours 9 min ago. 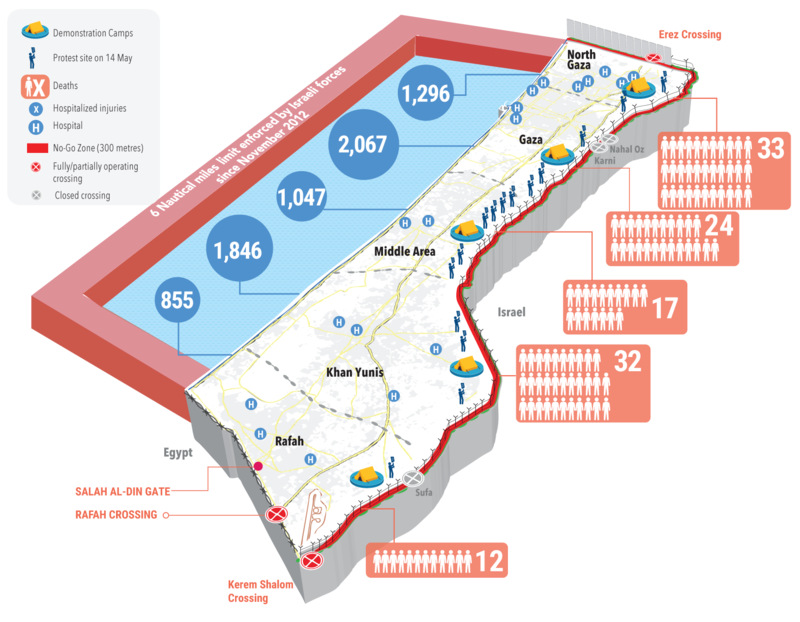 #Gaza faces an unprecedented #humanitarian crisis, impacting the livelihoods and access to... 22 hours 32 min ago.